Muslim pilgrims somberly resumed the rituals of the final day of the hajj on Friday, following the deaths of at least 700 people who were trampled as two waves of pilgrims collided in Mecca's deadliest disaster in 25 years. The latest tragedy comes less than two weeks after 107 people were killed in Mecca when a crane collapsed outside the Grand Mosque. As officials continue to investigate that accident, some have questioned the need to expand the Grand Mosque — already the largest in the world, covering more than 88 acres. Rosie Bsheer teaches history at Yale University and is a co-editor of the online journal Jadaliyya, where she recently published "The Property Regime: Mecca and the Politics of Redevelopment in Saudi Arabia." 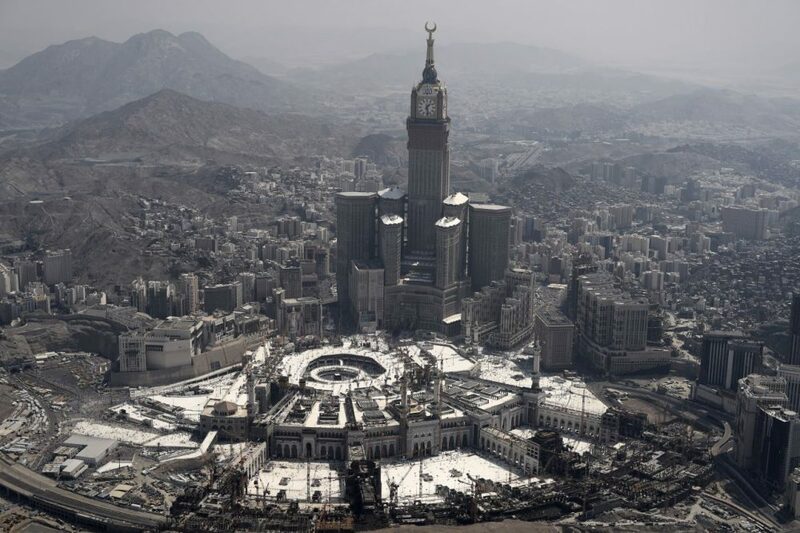 She joins Here & Now's Meghna Chakrabarti to discuss the profound effects of development in Mecca. “First and foremost, the new Mecca affects the longtime residents of the city, many of whom have been forced to leave their homes, homes that in most cases have been passed down from one generation to another. Those who have been evicted from their homes have received meager compensation in return. Many have ended up in slums and are still homeless. Now the new Mecca is designed with maximizing profits in mind, so it is meant for the rich and affluent, which has in turn driven prices up which affects both residents and pilgrims." "The Saudi regime has recently paid lip service to the idea of affordable housing for non-wealthy pilgrims, but there simply is no incentive for them to do so given the remarkable profit margins on upscale accommodations." “Since the late 1990s, the Saudi regime has stressed the speed of construction at the expense of everything else. And the Saudi Binladen Group in charge of redevelopment in Mecca has been more than willing to comply, again given the profits that they are generating. This has come at the expense of safe and smart planning, and the Binladen Group has time and again compromised on implementing safety standards in order to cut on costs and time, of course with the complete knowledge of Saudi rulers. Now this, in addition to the large number of pilgrims the Saudi regime has allowed, has created a recipe for disaster." Rosie Bsheer, history professor at Yale University and co-editor of Jadaliyya, an online journal. This segment aired on September 25, 2015.